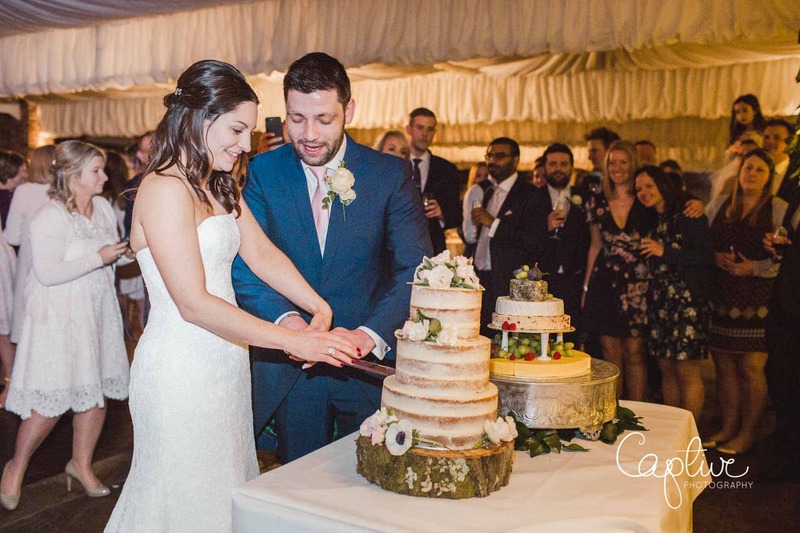 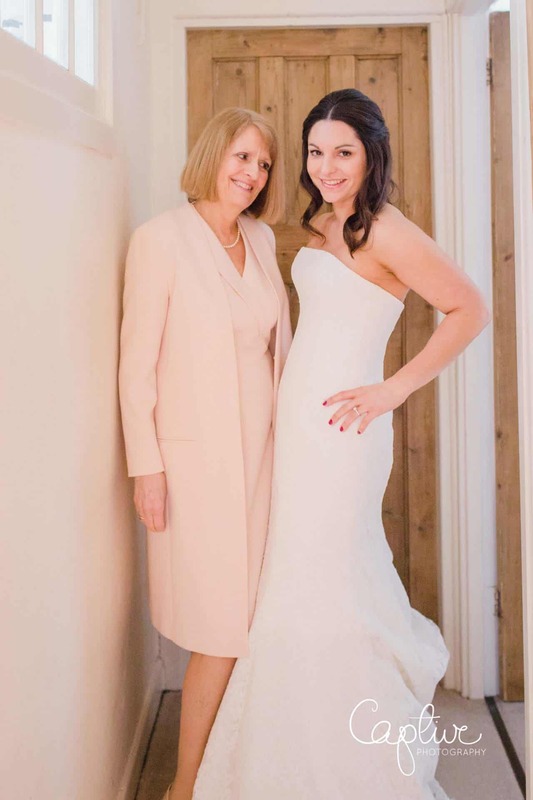 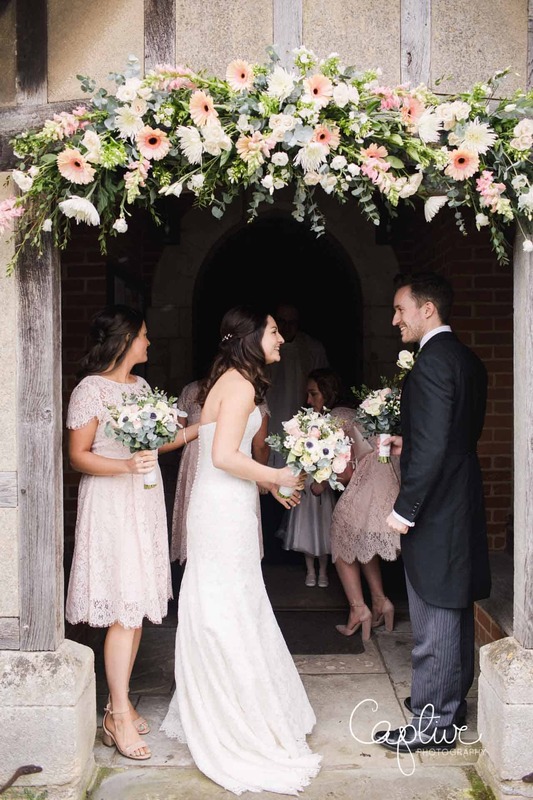 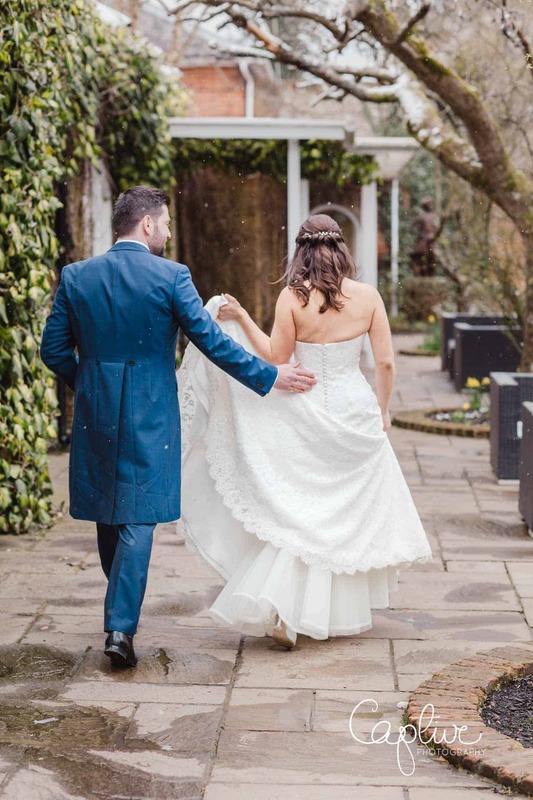 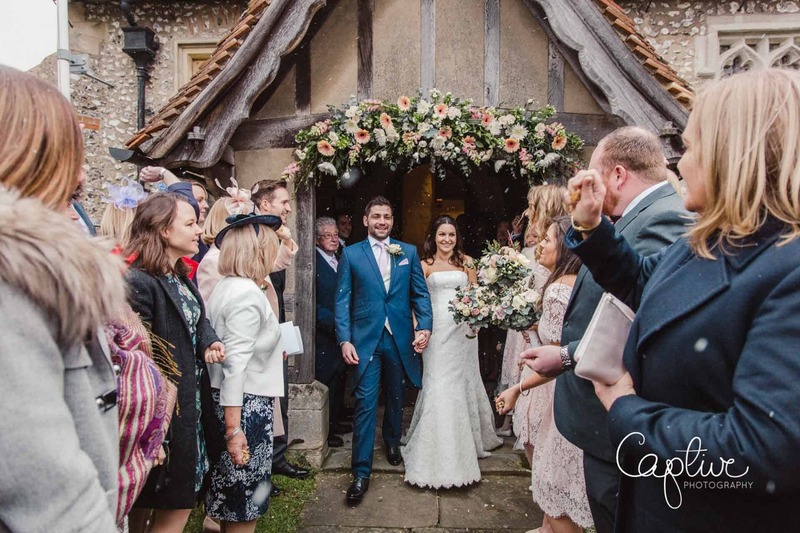 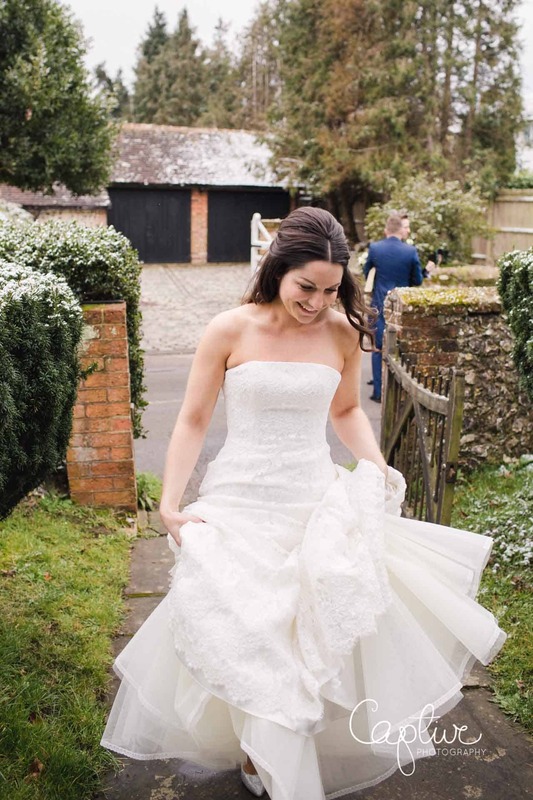 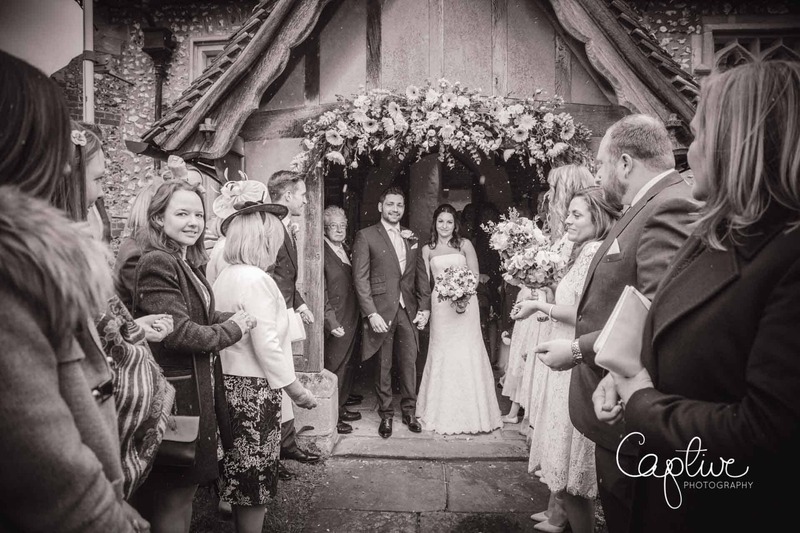 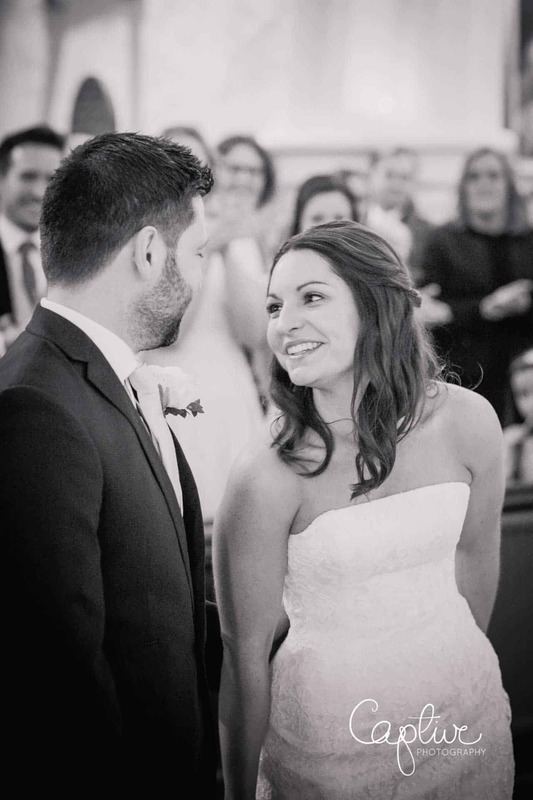 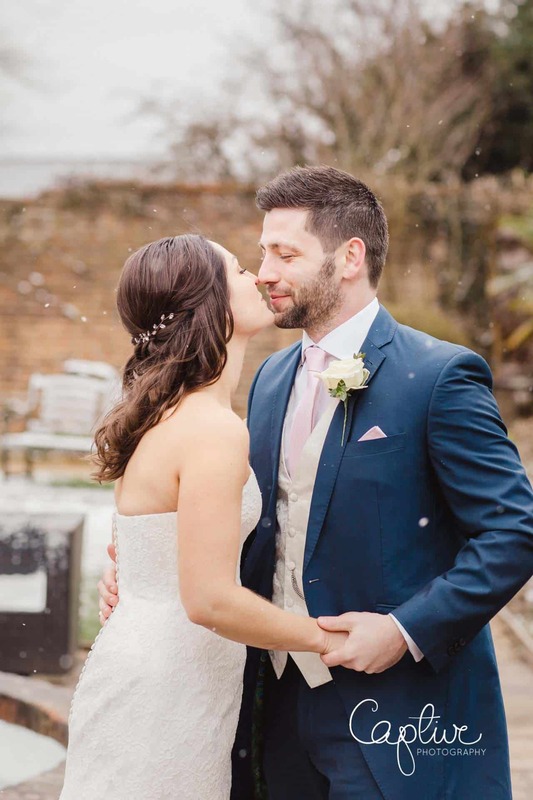 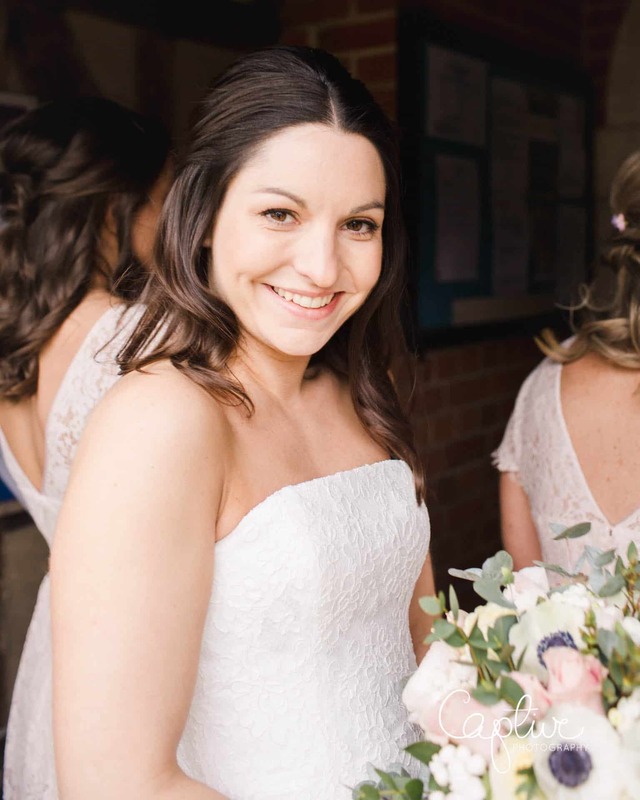 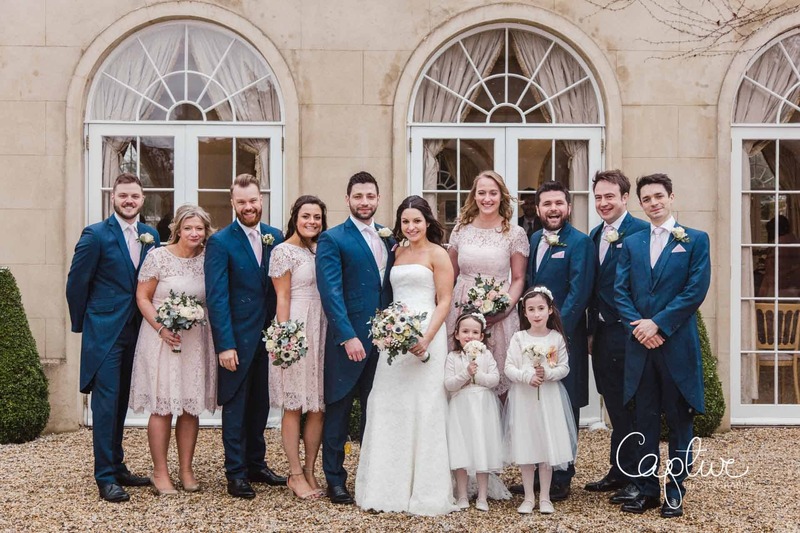 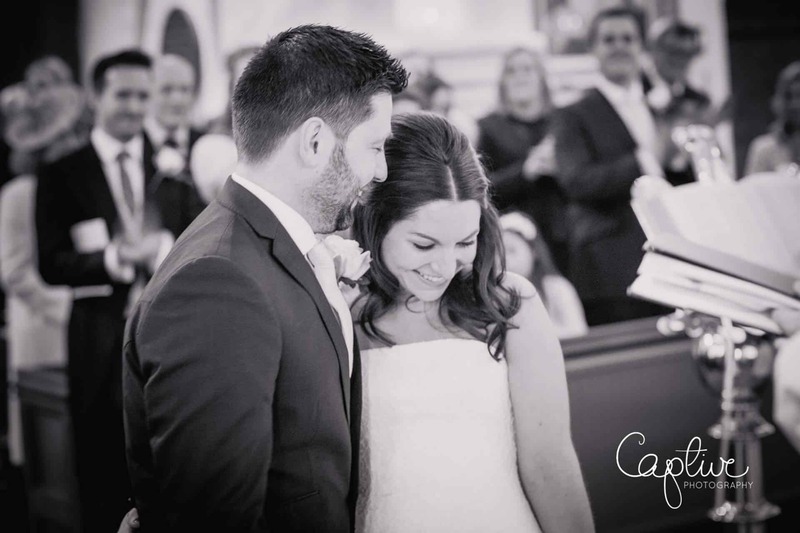 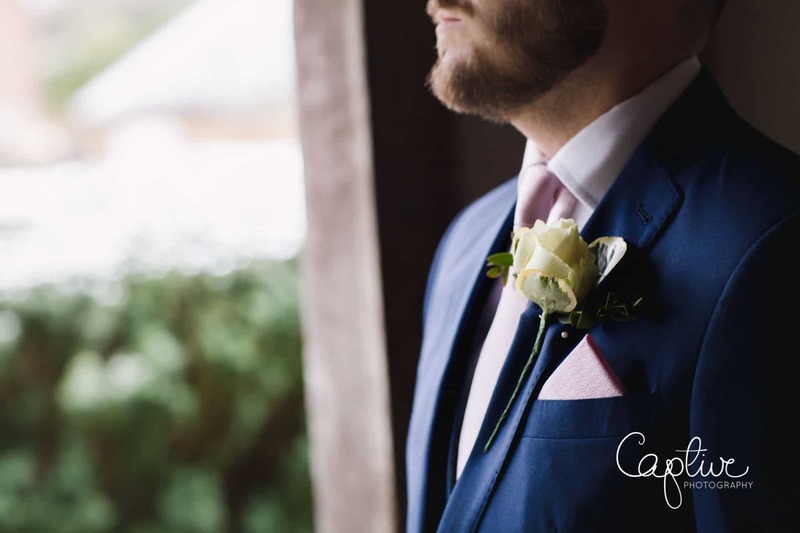 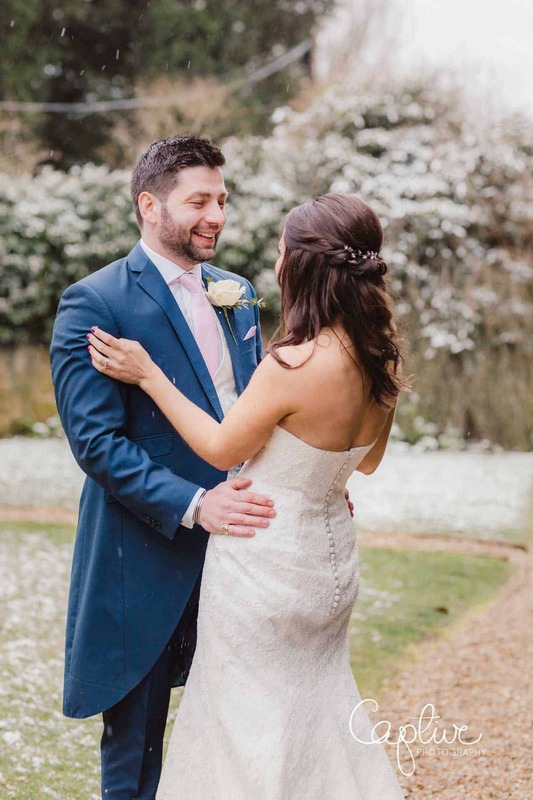 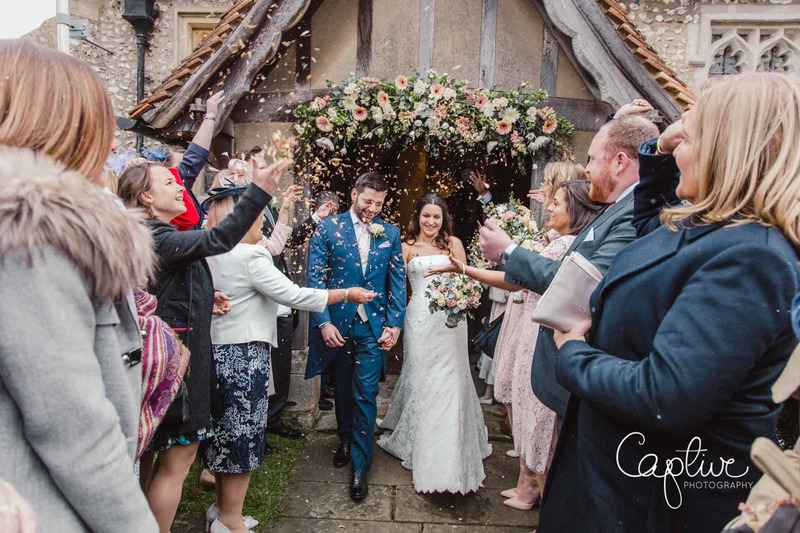 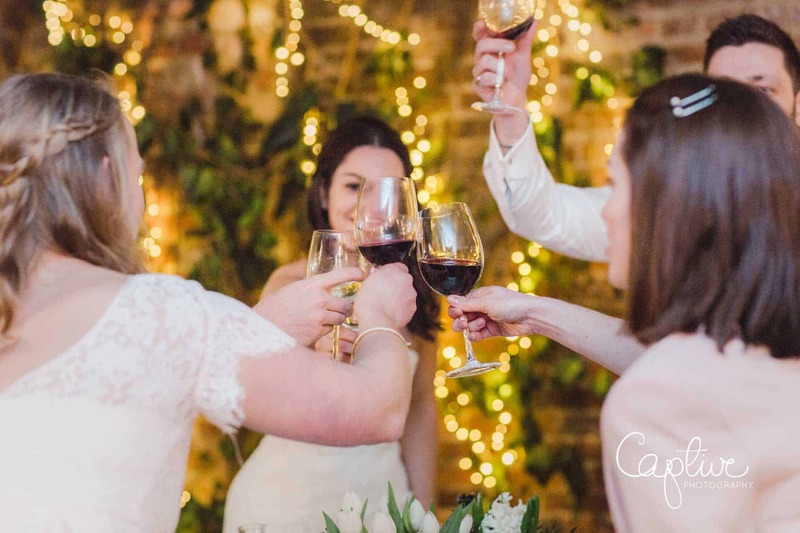 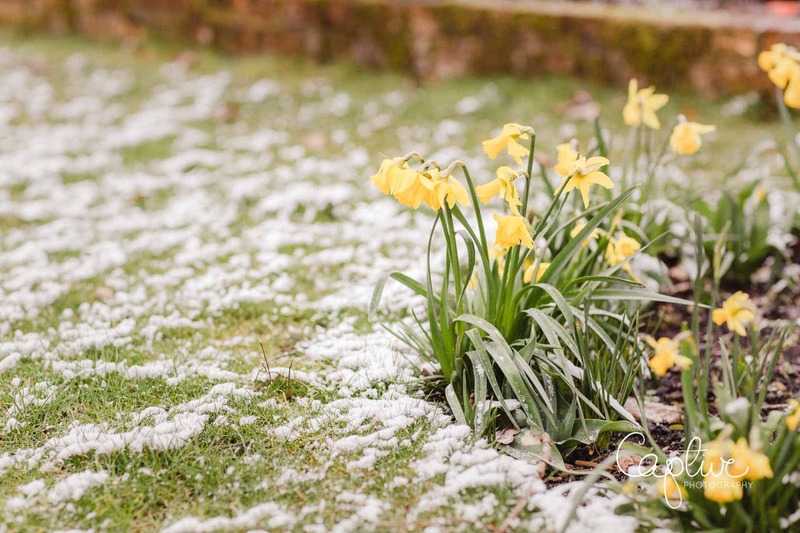 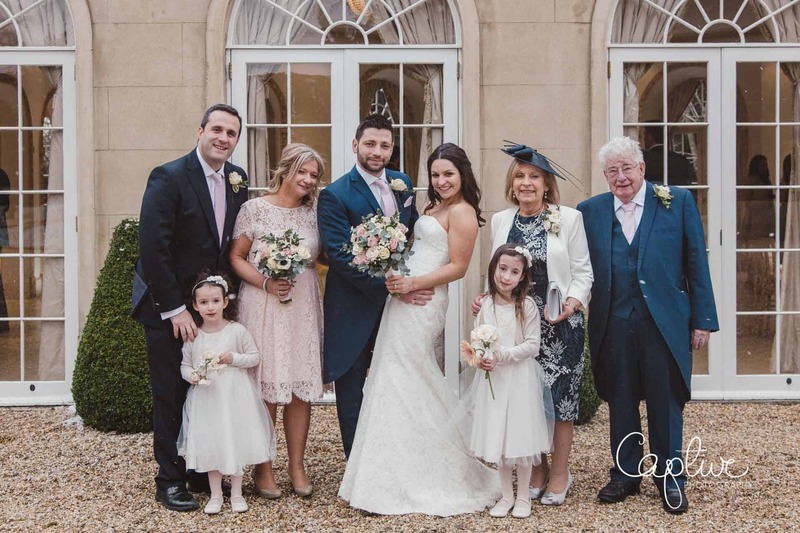 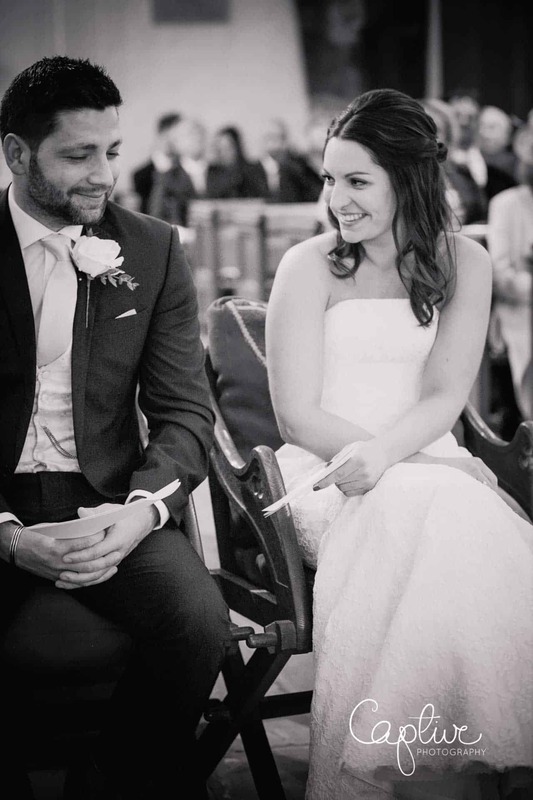 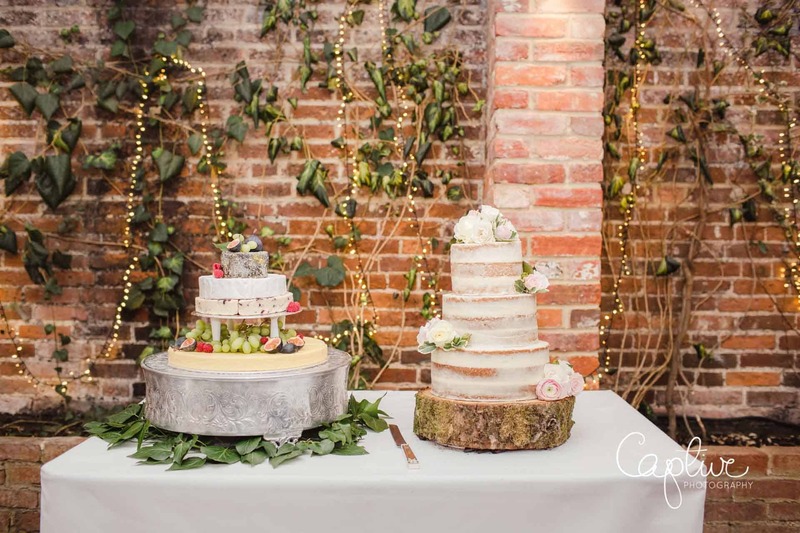 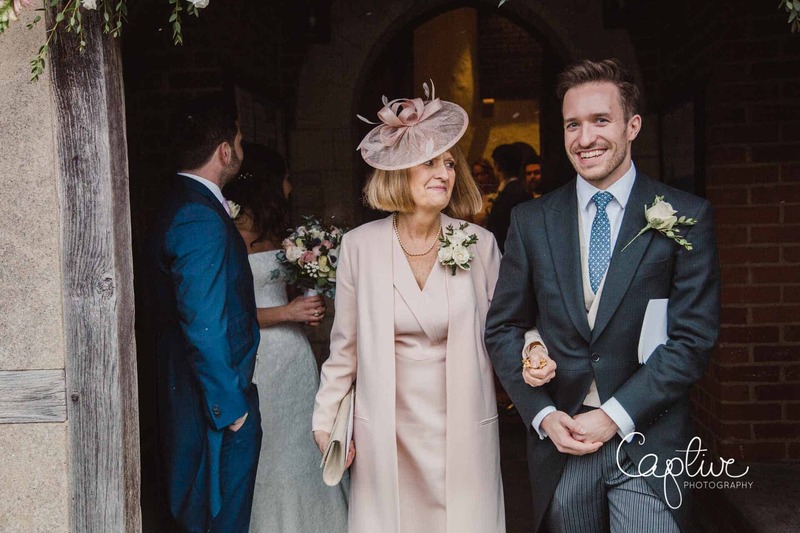 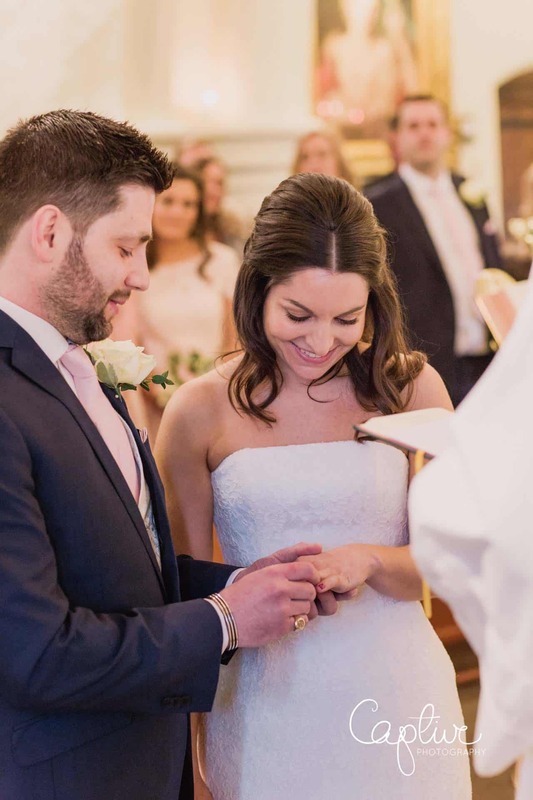 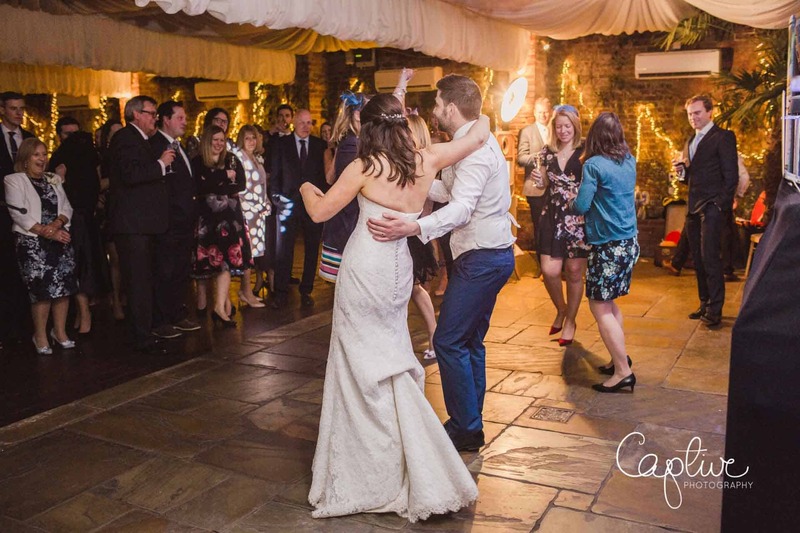 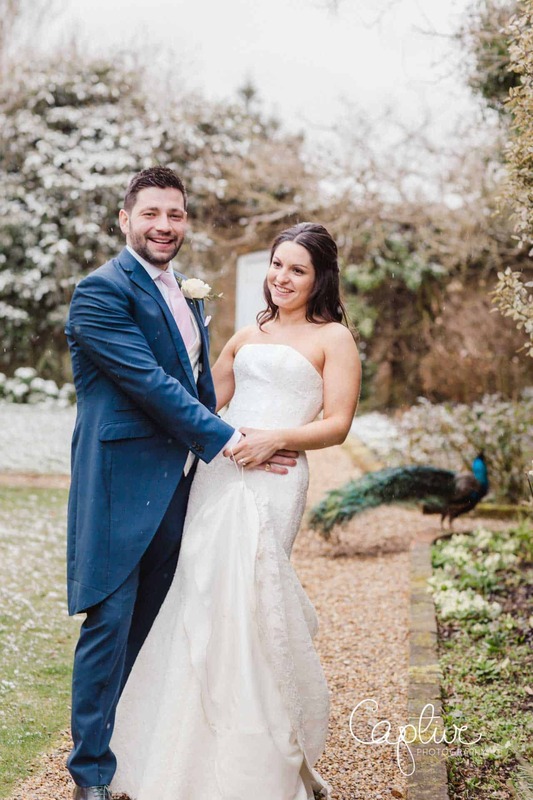 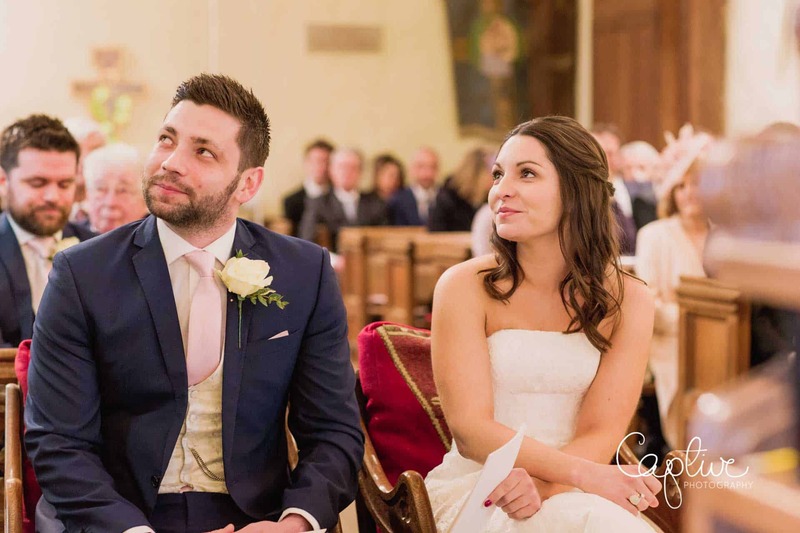 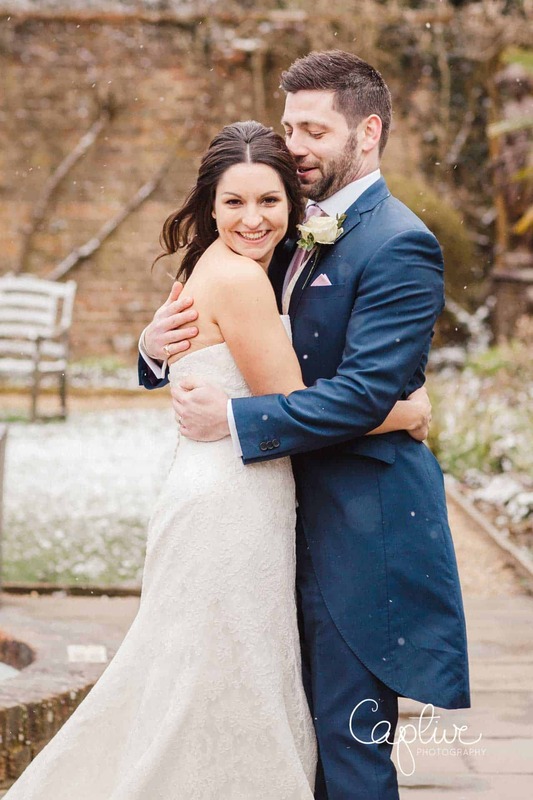 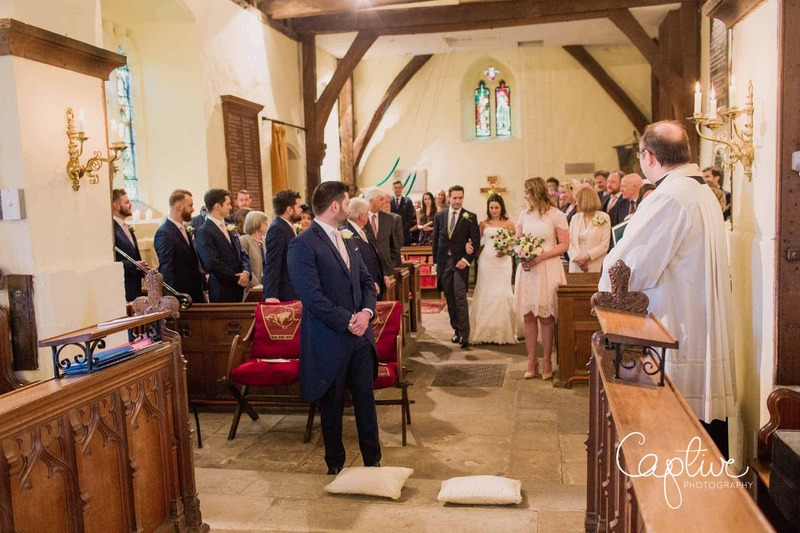 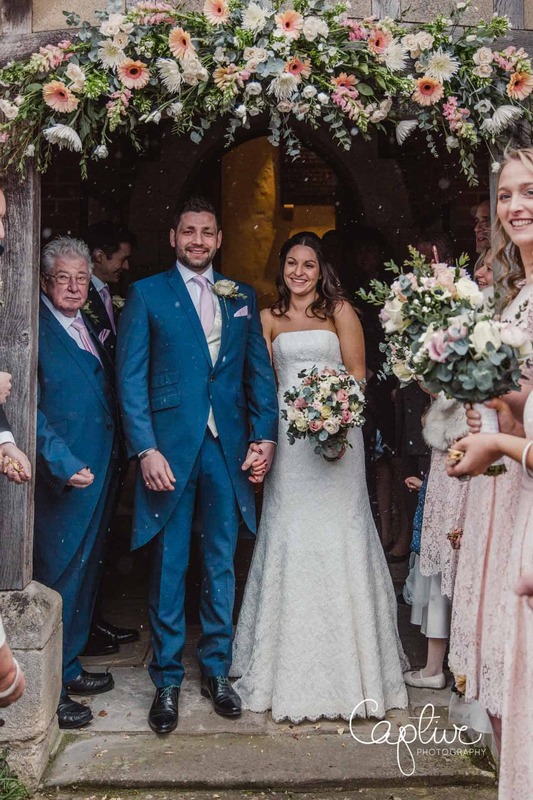 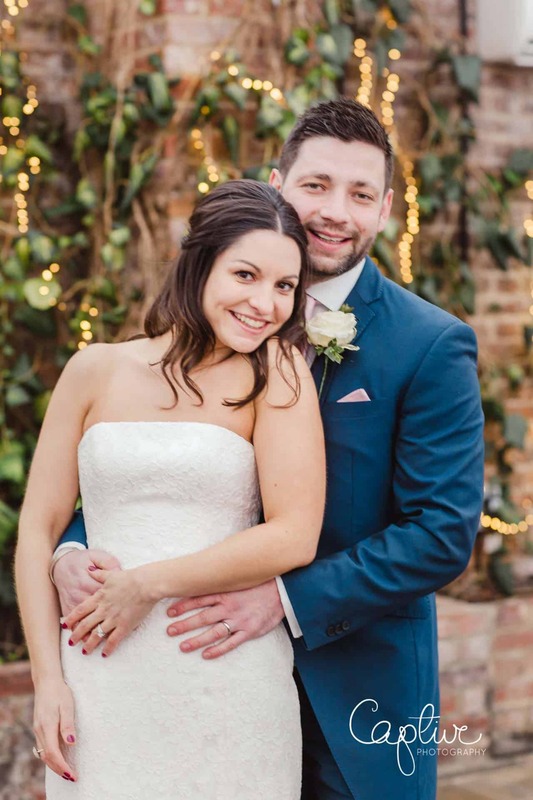 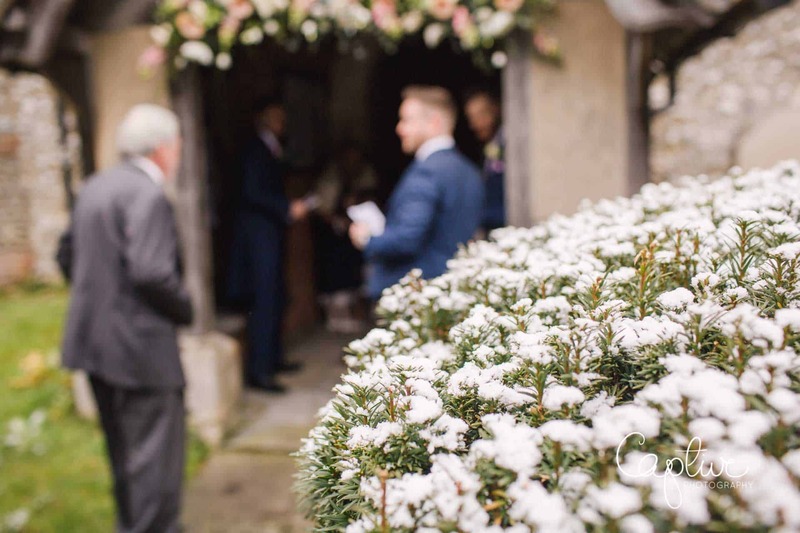 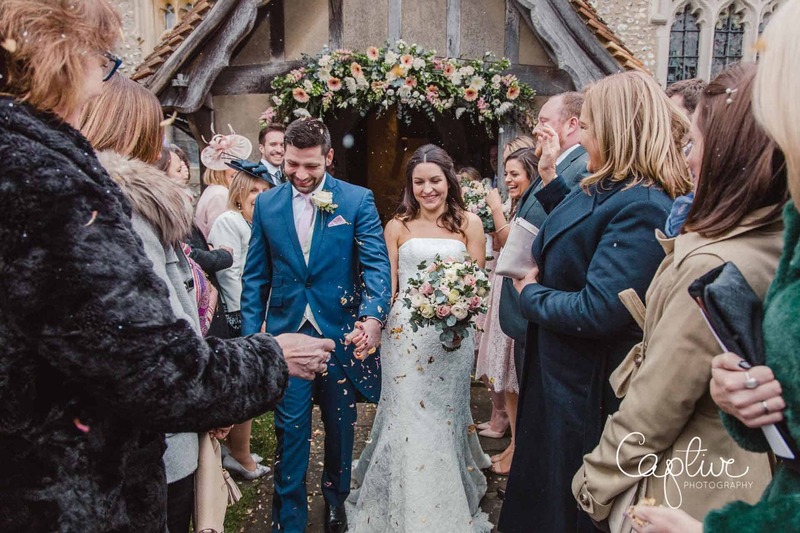 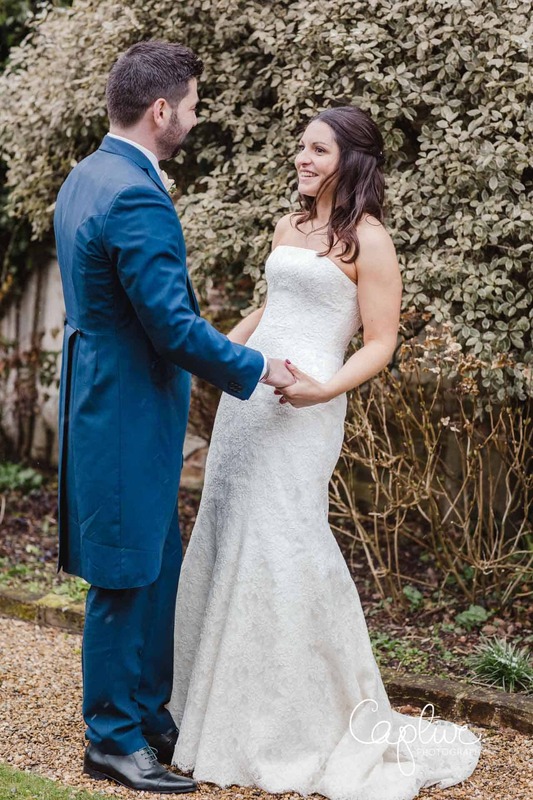 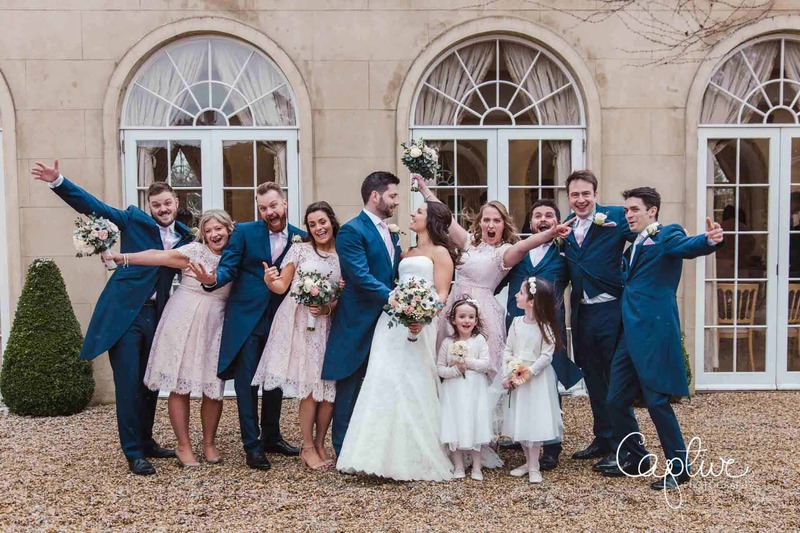 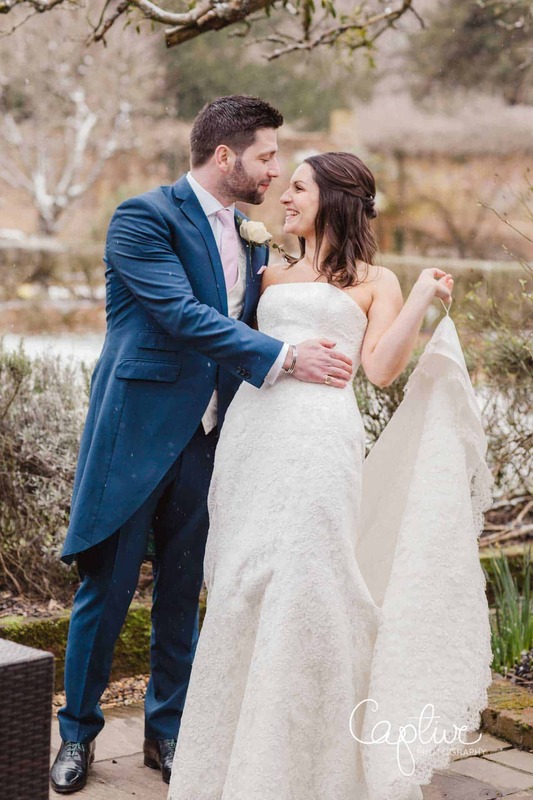 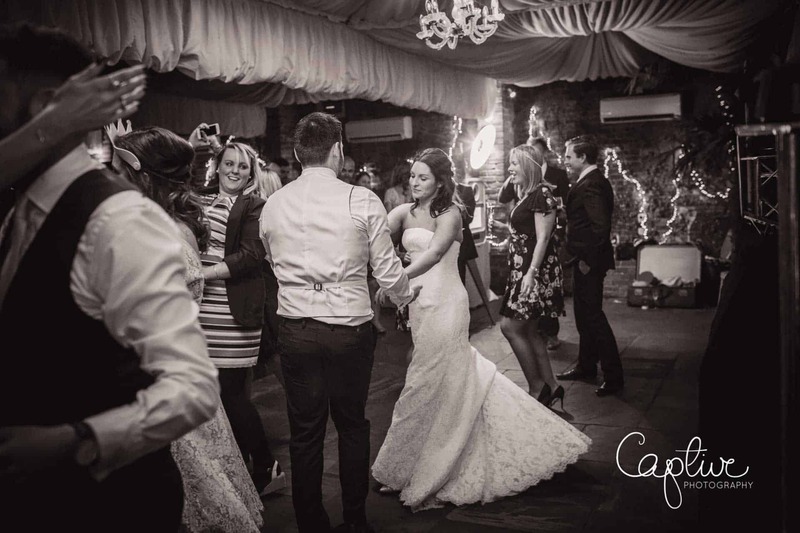 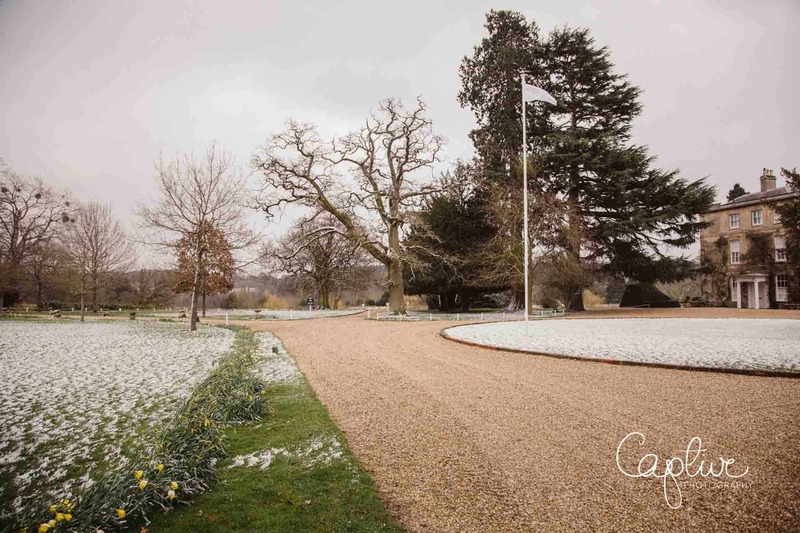 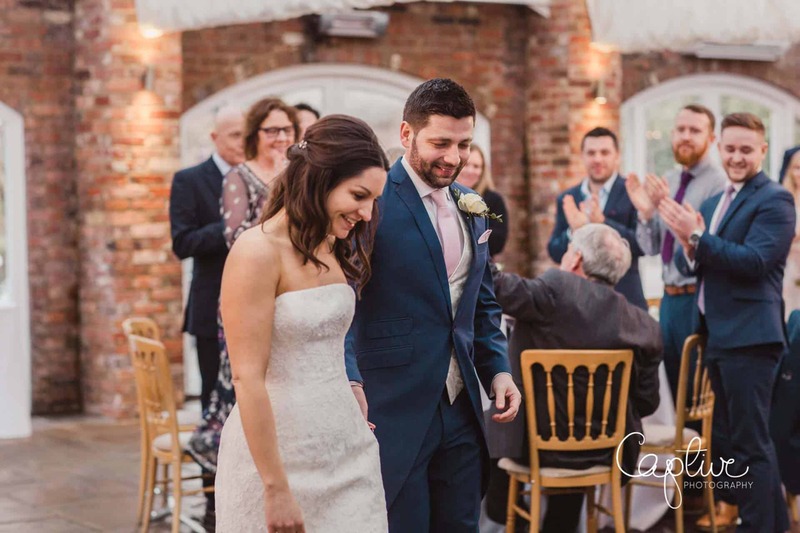 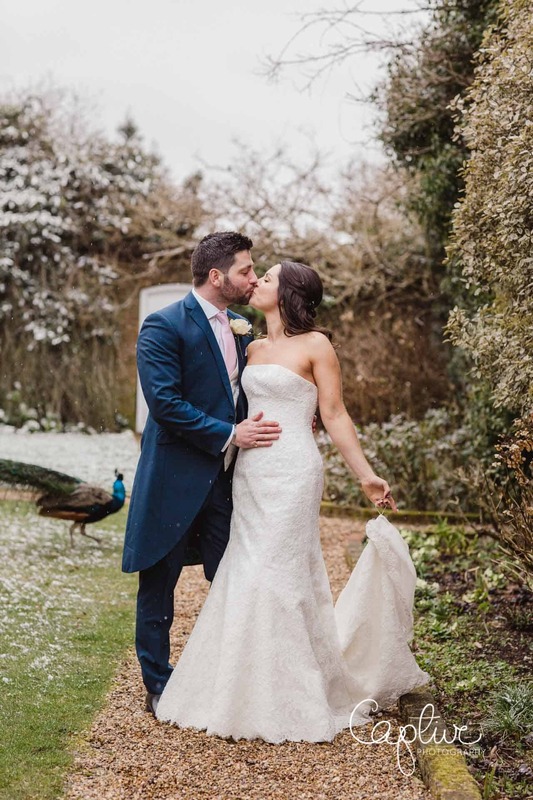 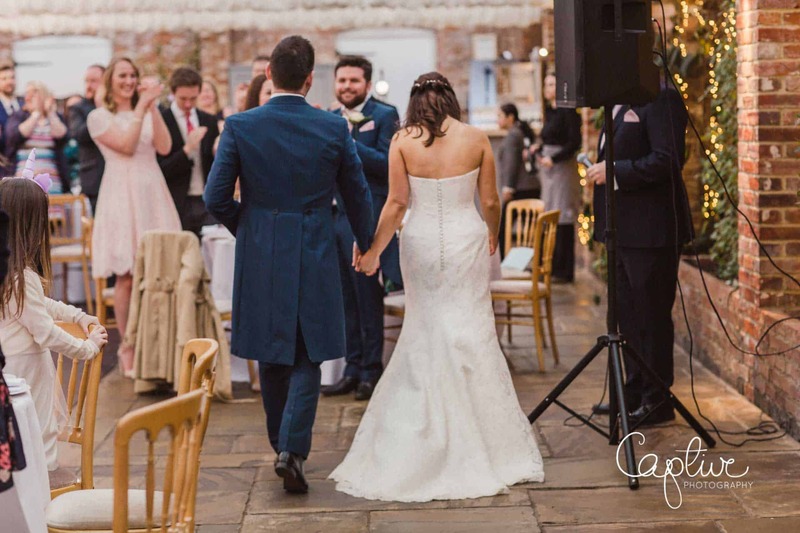 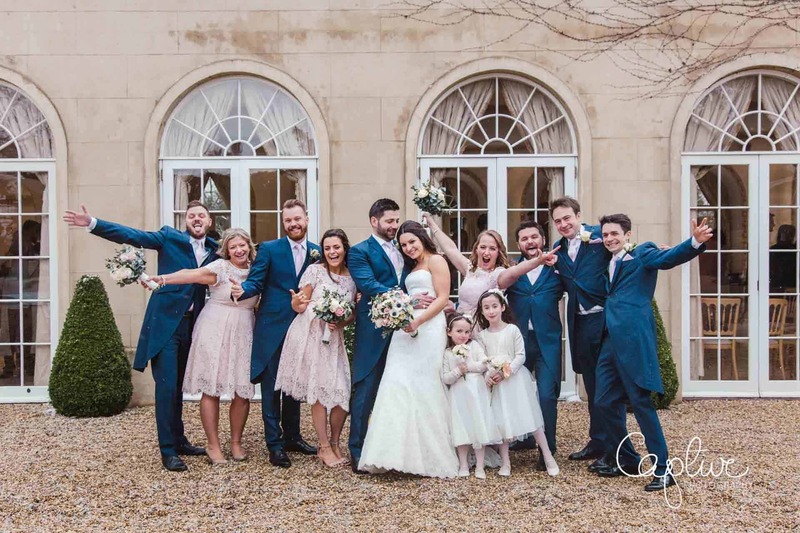 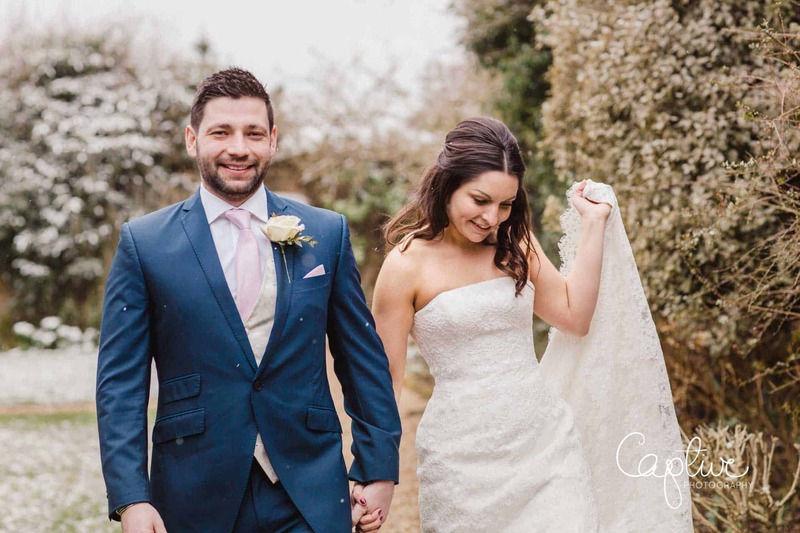 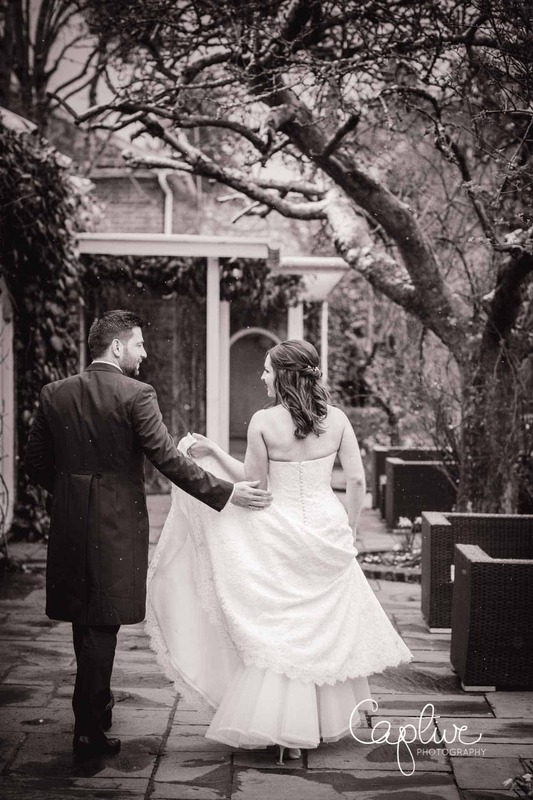 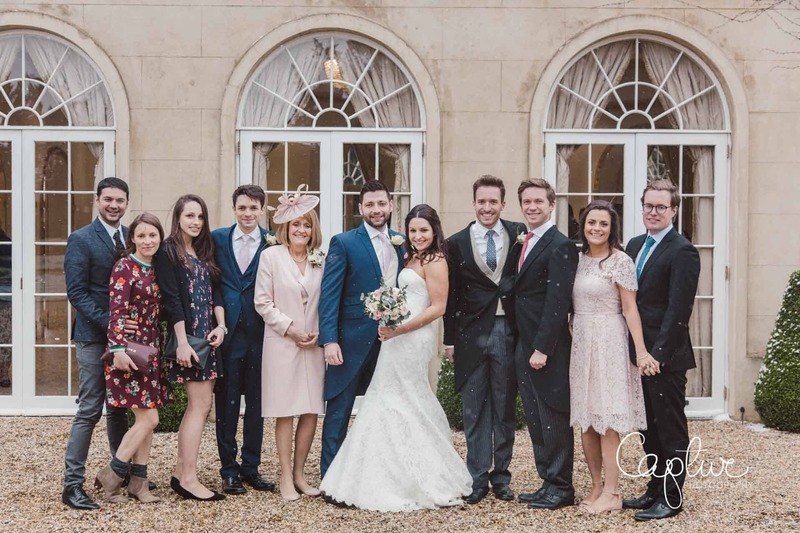 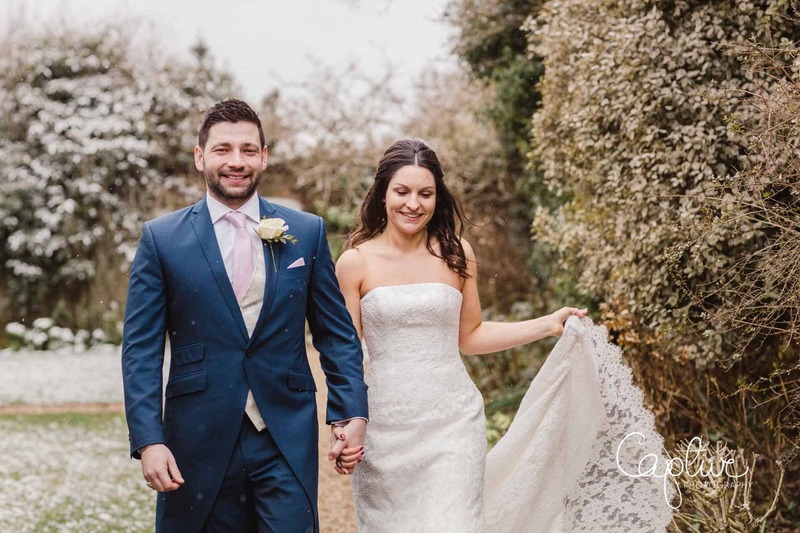 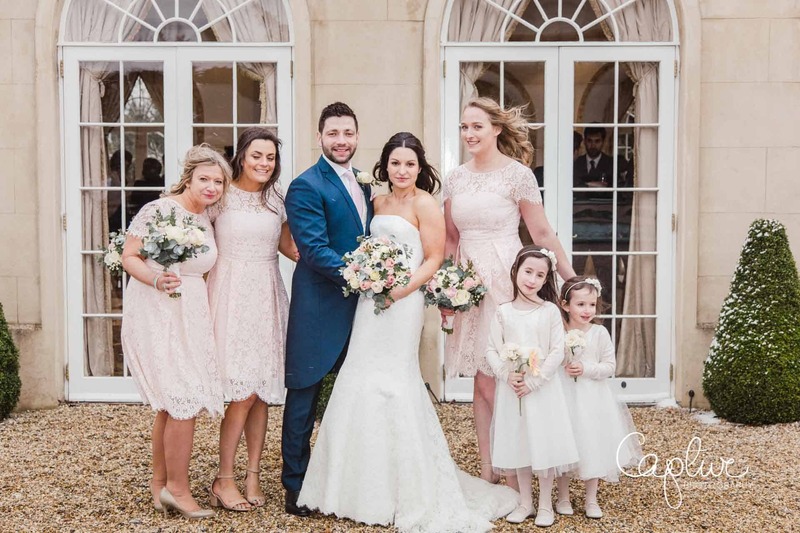 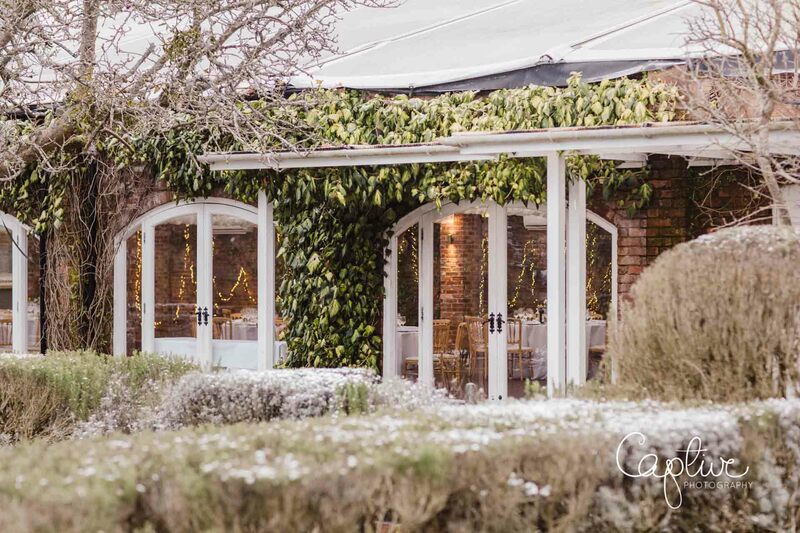 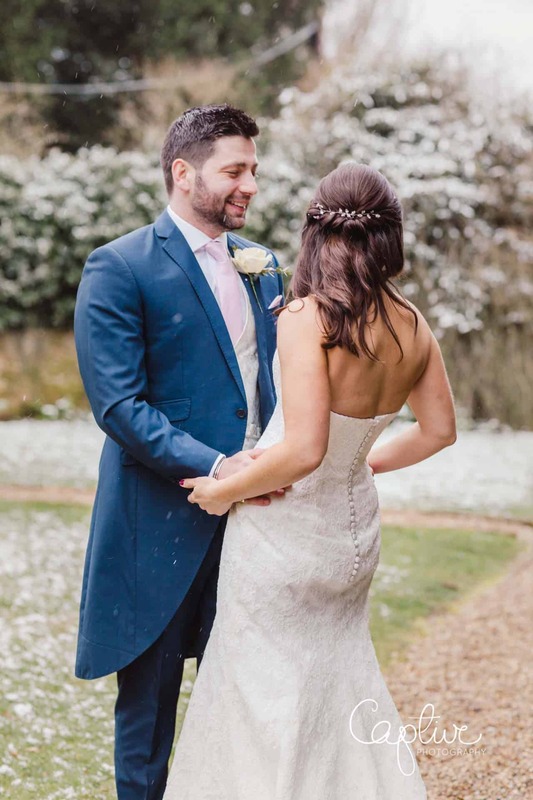 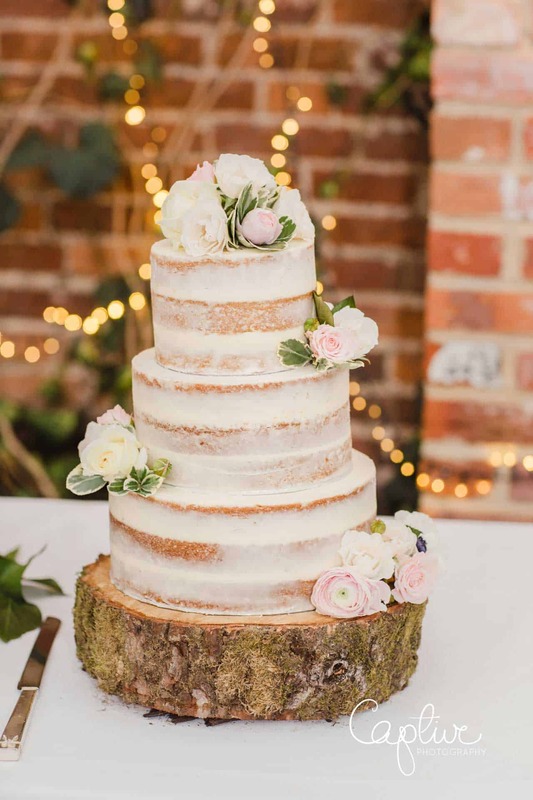 Alice & Craig were not expecting snow on their wedding day but it was a lovely surprise! 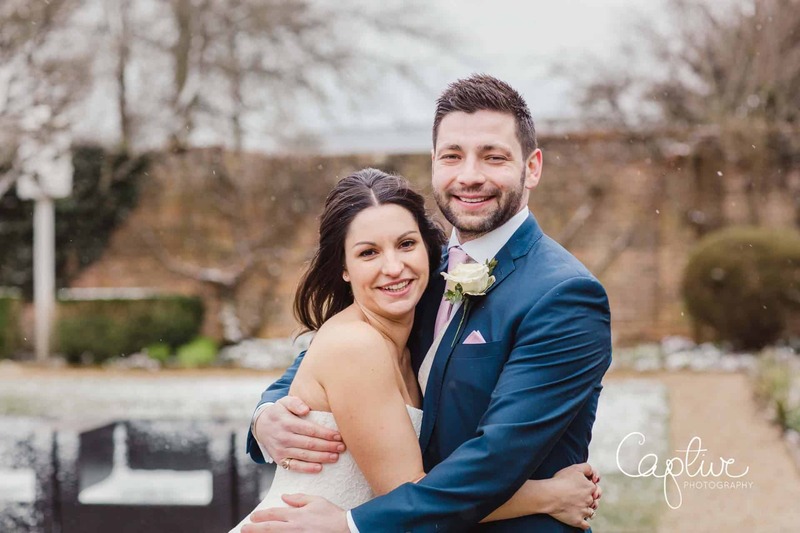 Snow can make life tricky for the wedding photographer but Alice & Craig didn’t let it stop them having the wedding they wanted. 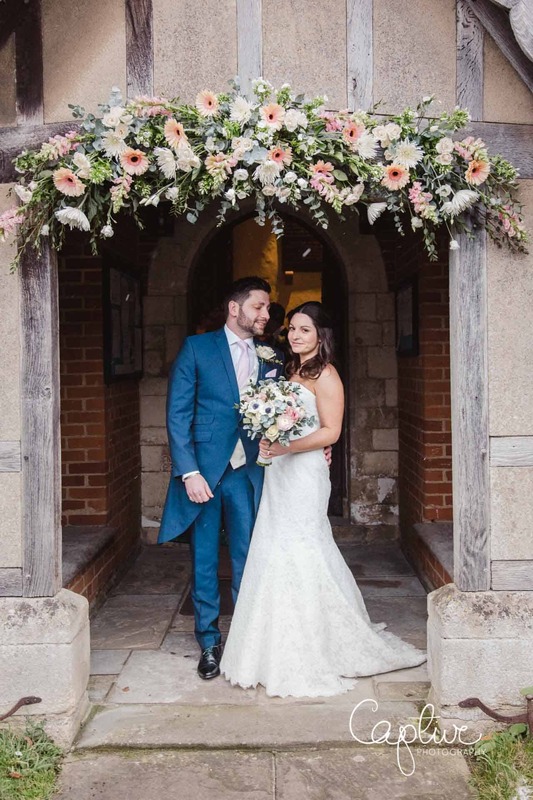 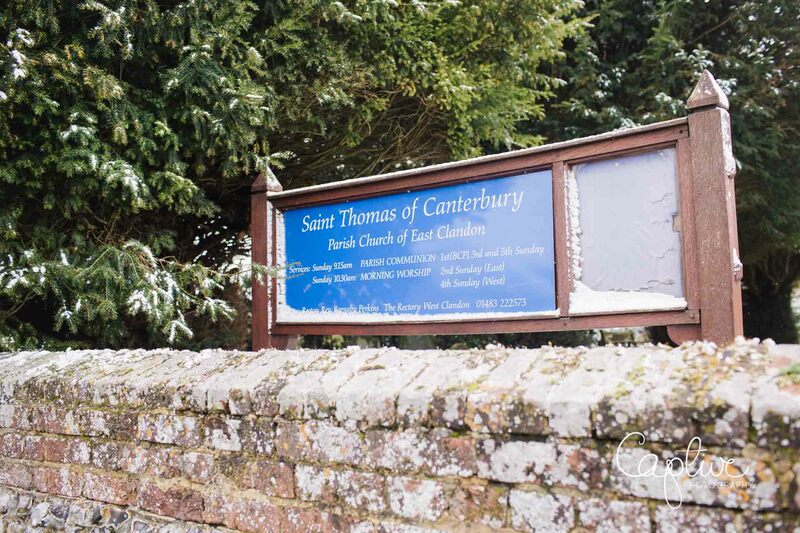 The church in East Clandon, Surrey looked beautiful with a smattering of fresh snow fall and the fresh flower arch adorning the entrance. 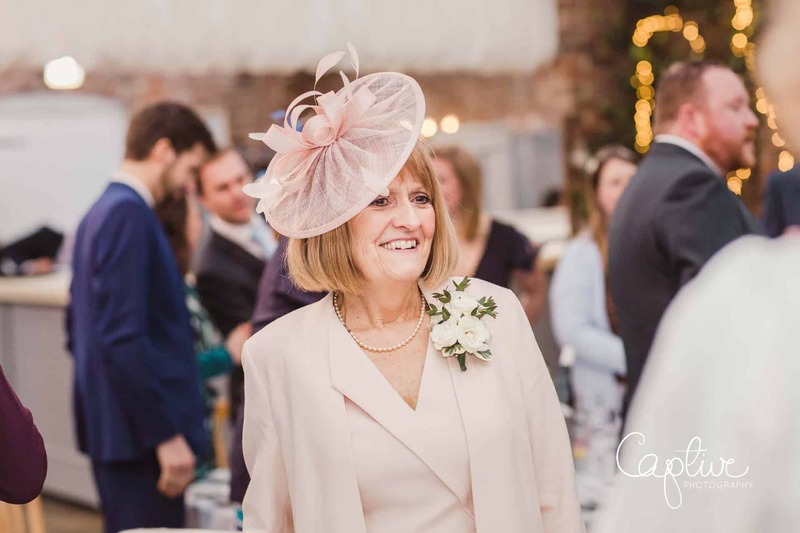 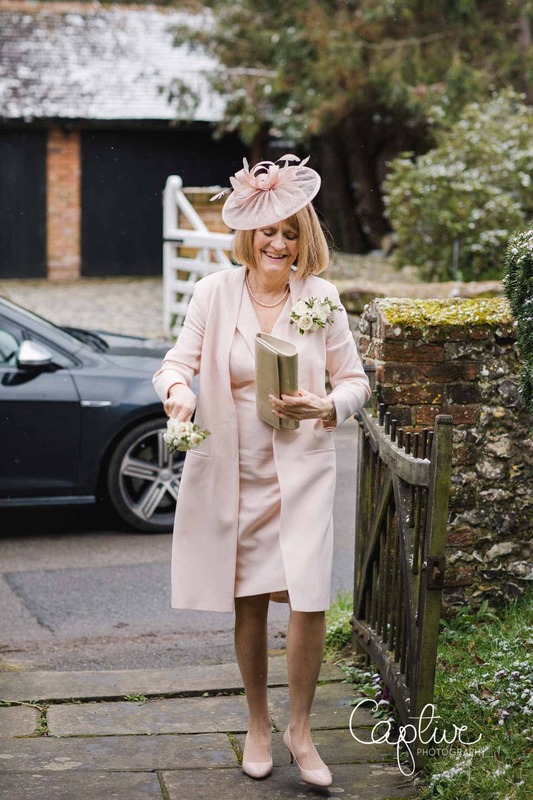 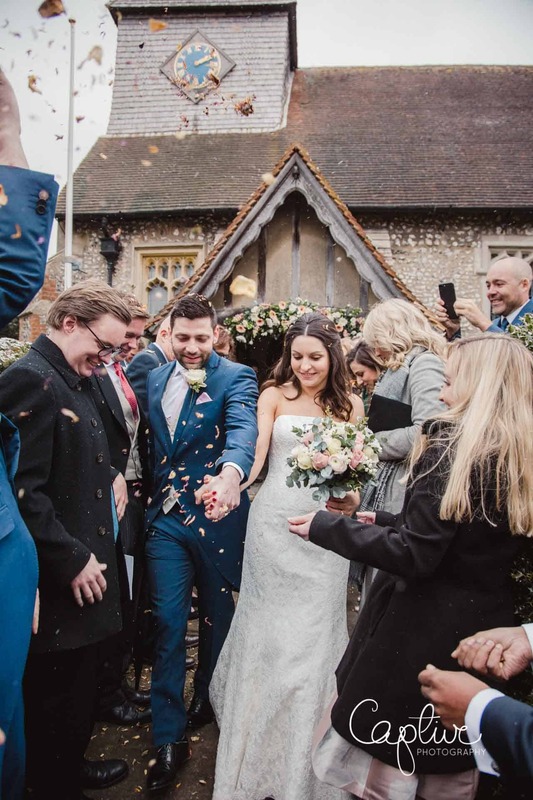 The guests wrapped up warm and following the lovely service we created a swift confetti exit for the bride & groom to their waiting driver. 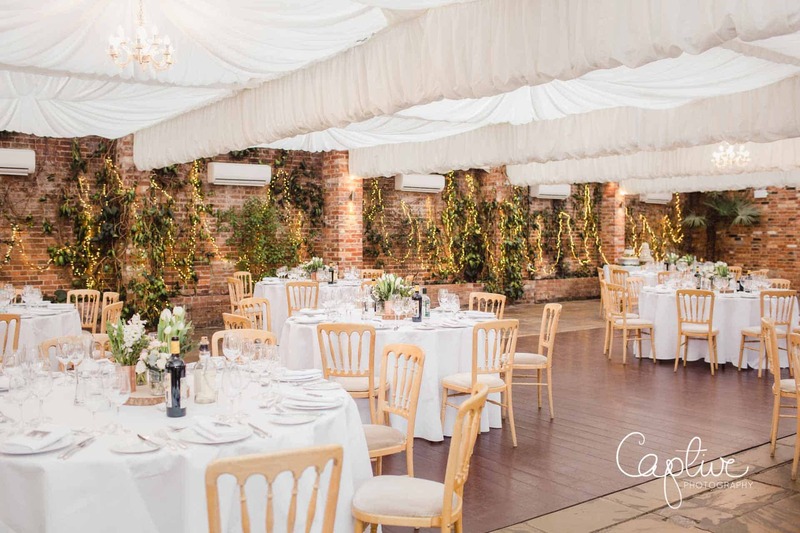 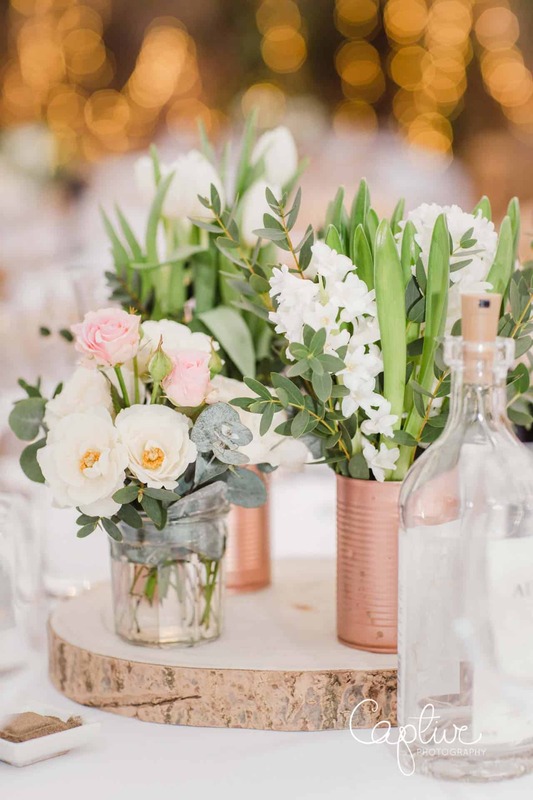 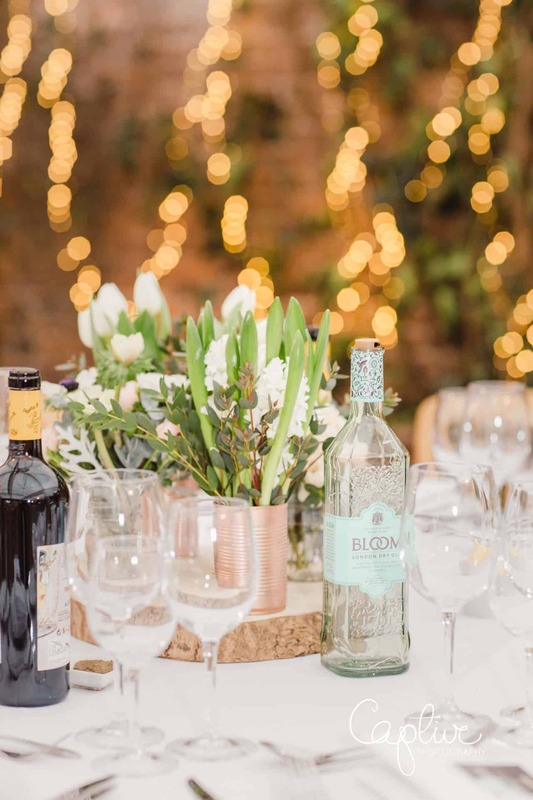 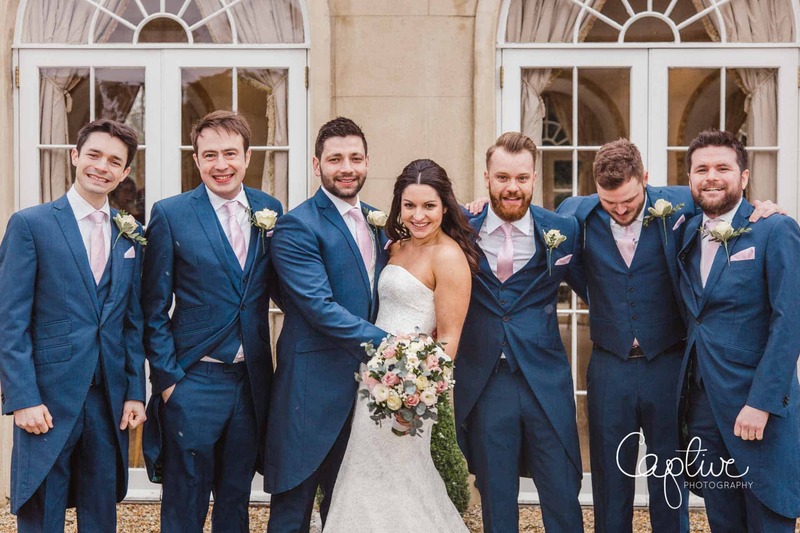 The reception at Northbrook Park was all ready with the fire blazing in the huge fireplace and champagne on arrival. 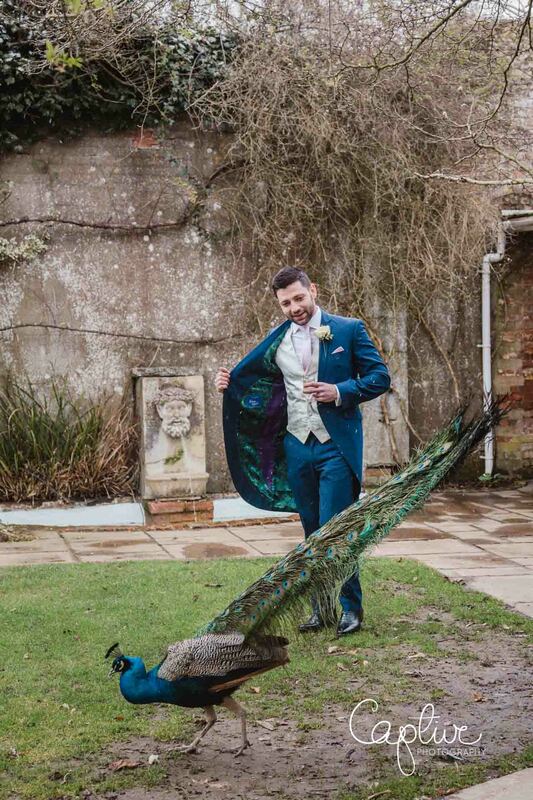 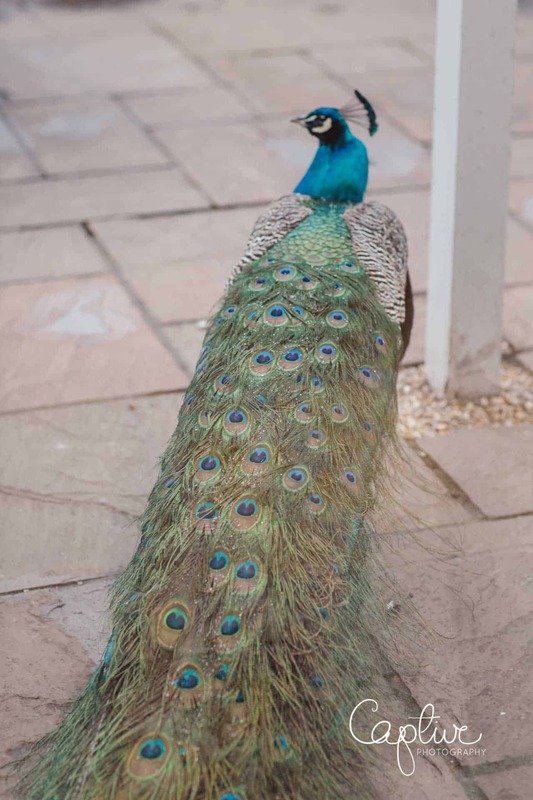 The peacocks were pleased to see us as we braved the elements and took some photographs outside in the stunning grounds of the venue. 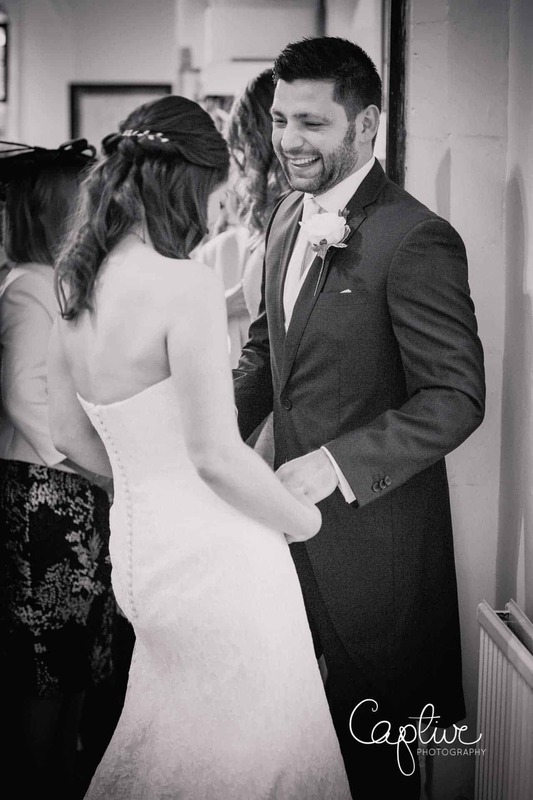 After a fun game of Heads & Tails (involving truths & fake facts about the bride & groom!) 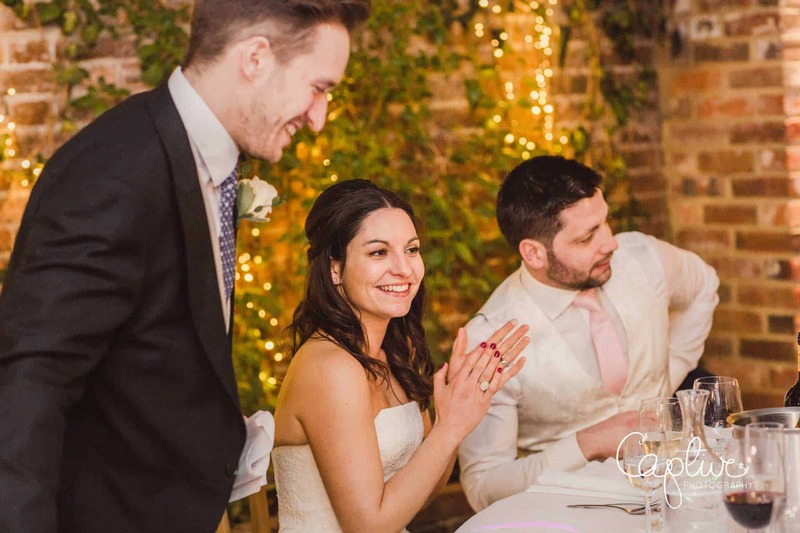 the guests sat down for a fantastic meal followed by speeches. 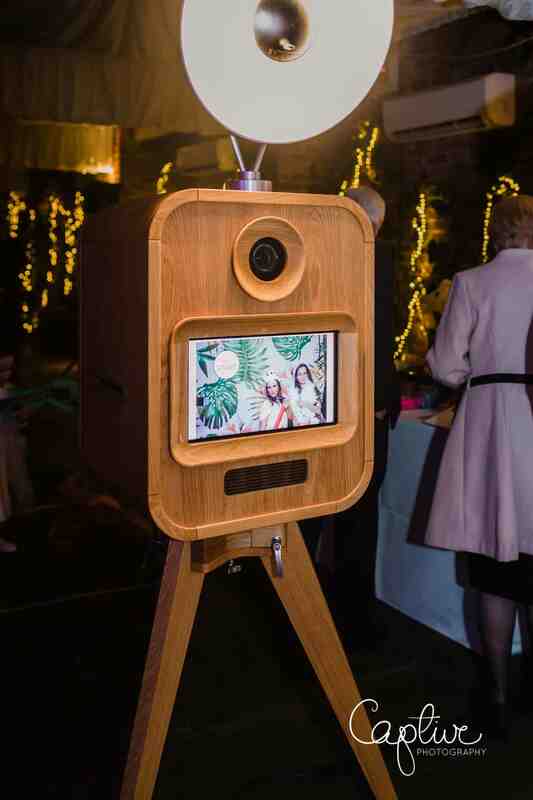 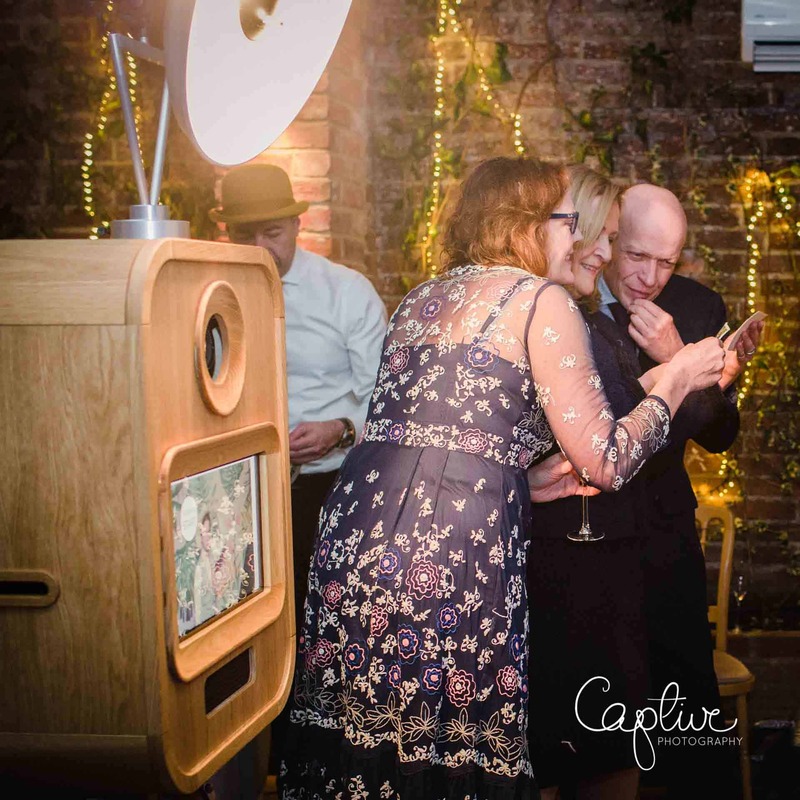 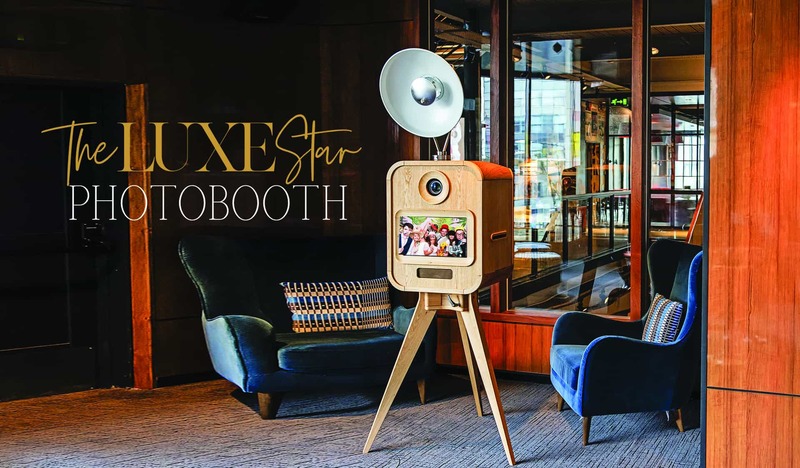 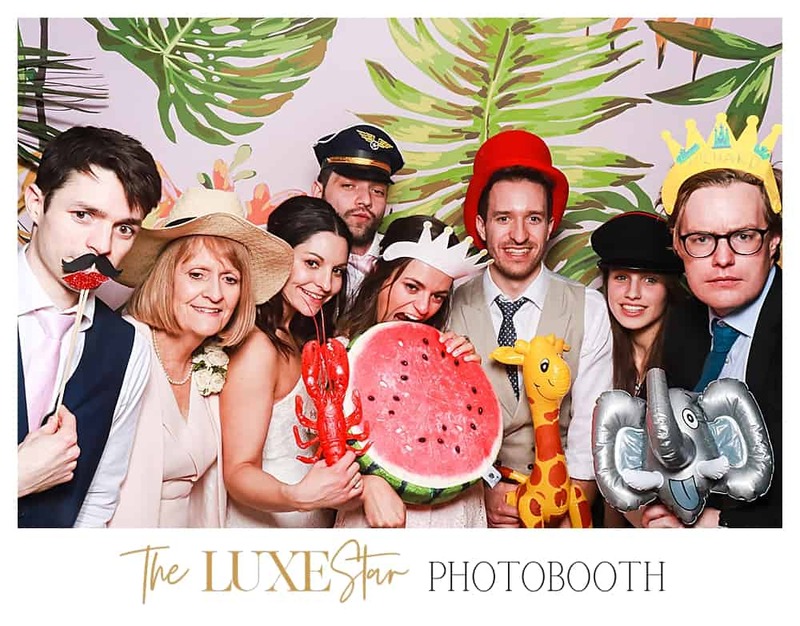 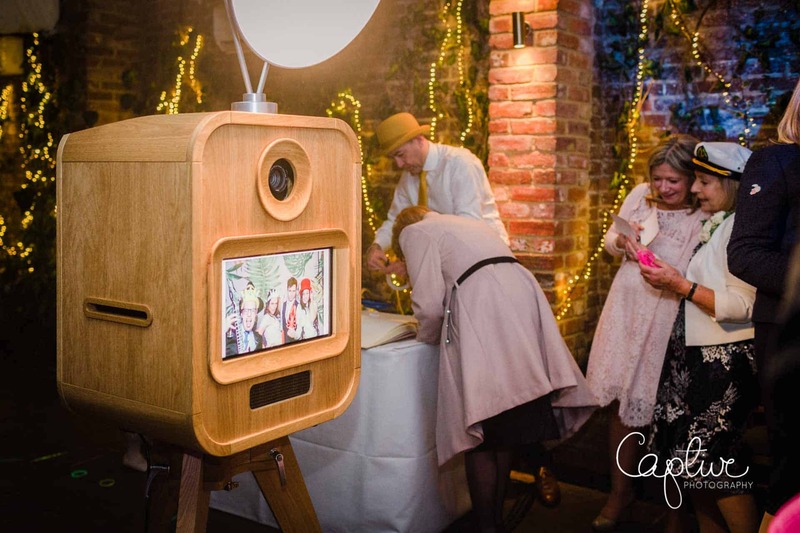 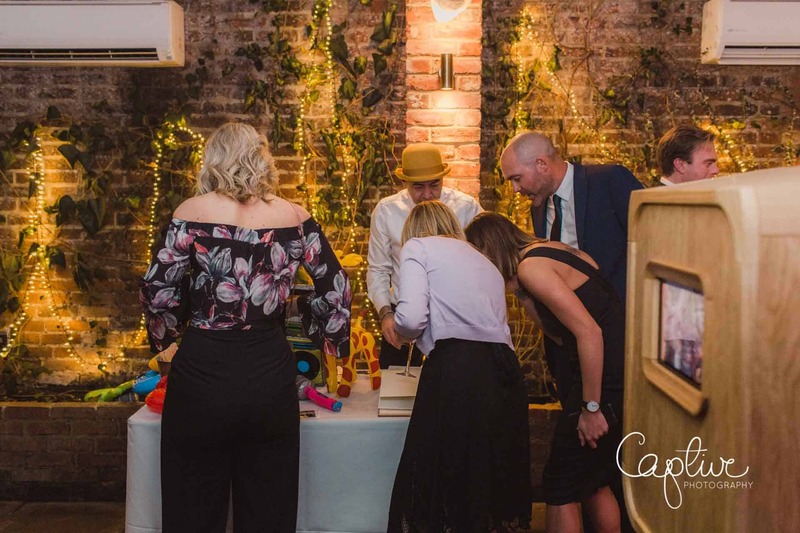 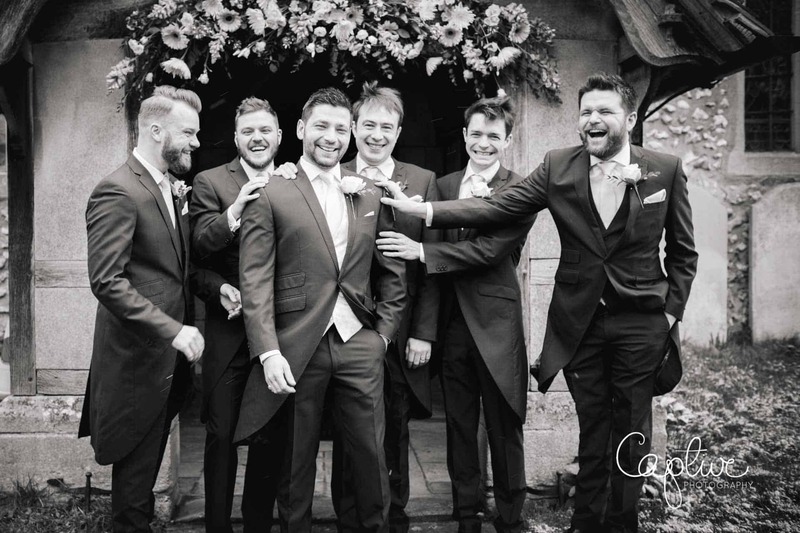 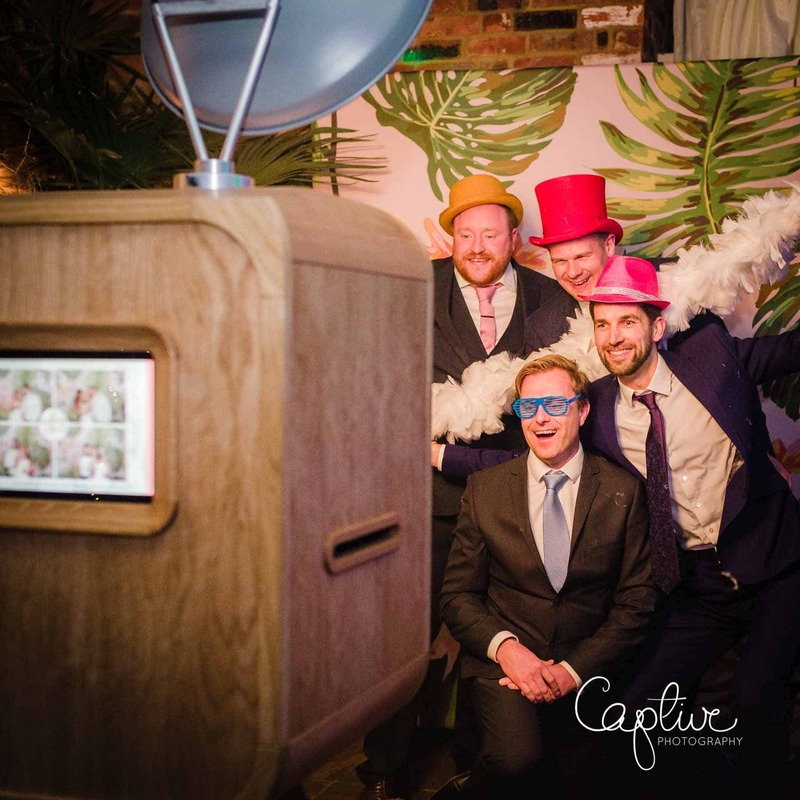 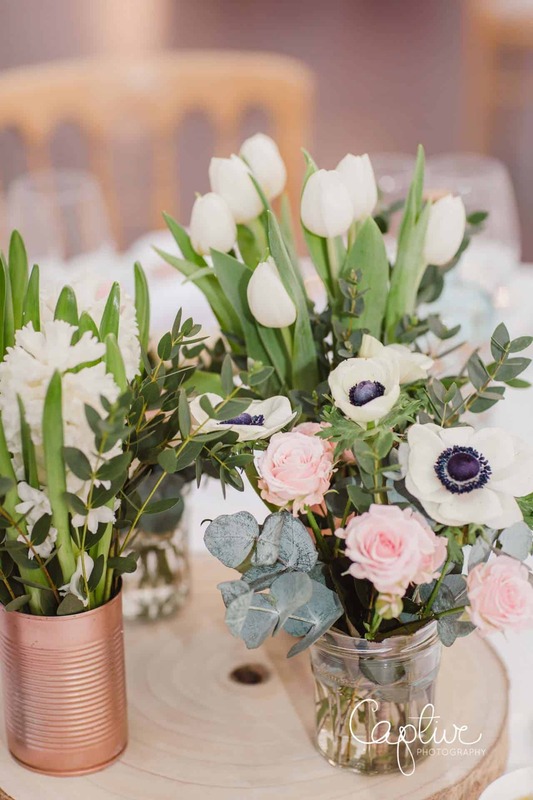 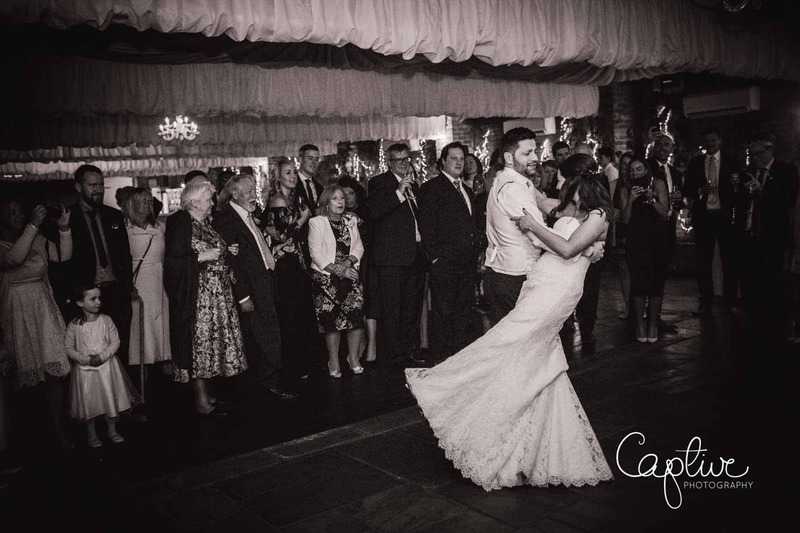 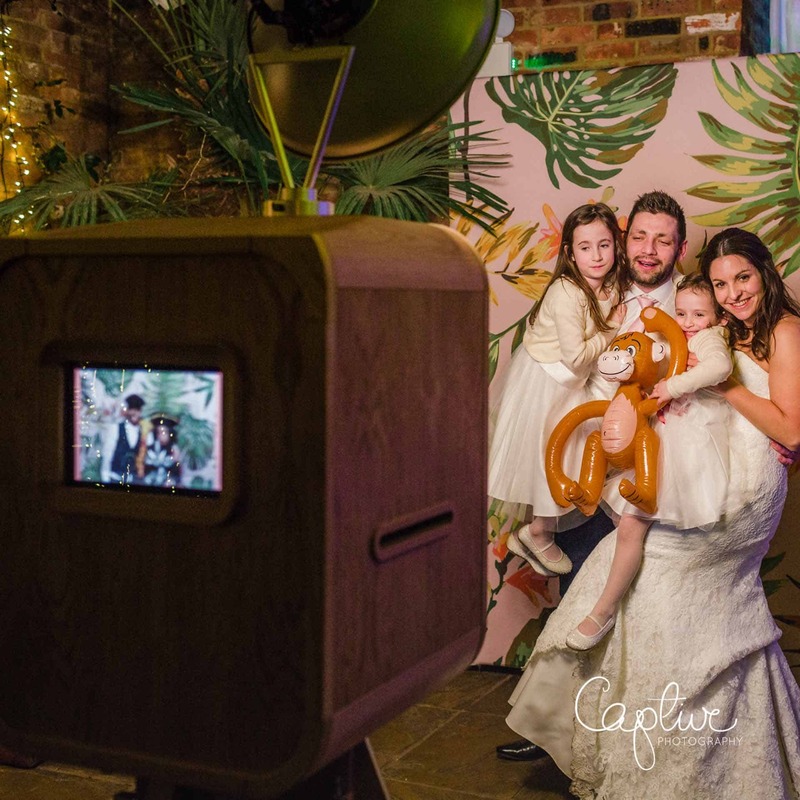 The evening dancing was complimented with the addition of the LUXEStar Photo Booth – this was our first outing with our new retro photo booth and it went down a storm! 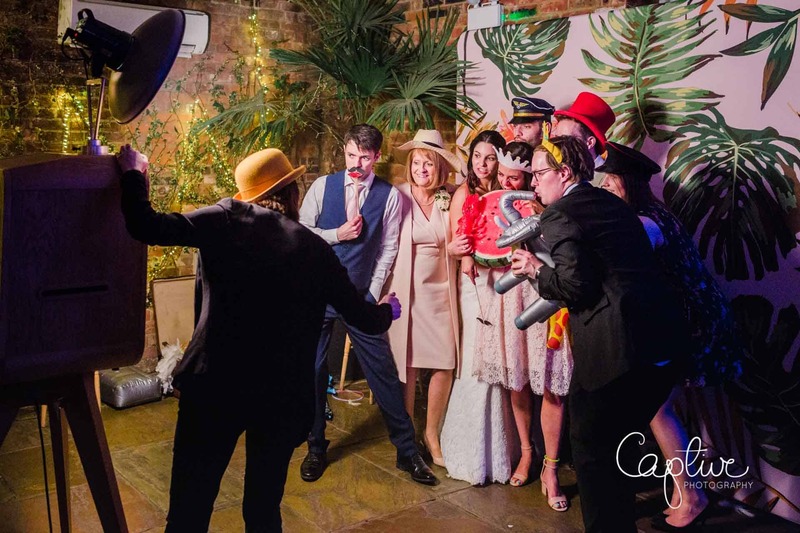 The guests loved it and had so much fun striking a pose and adorning themselves with our fantastical selection of props! 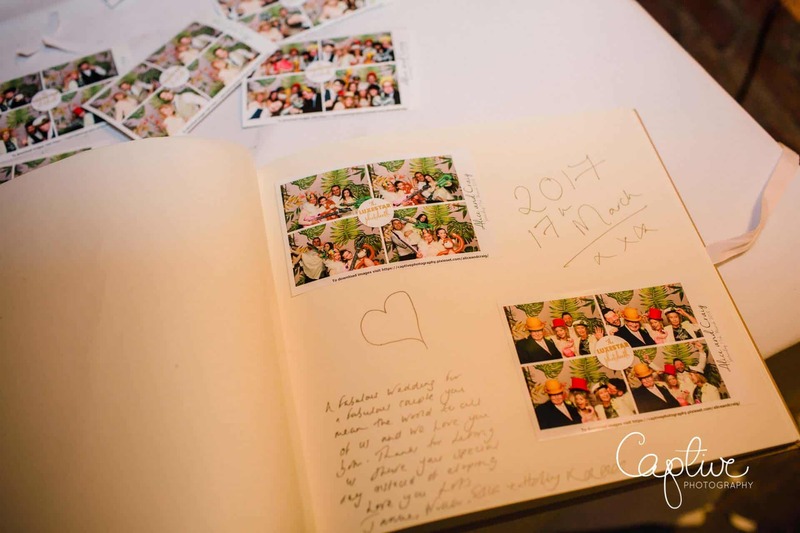 Each guest stuck their photo into the guest book and we created a fabulous memento for Alice & Craig with photos, comments and well wishes.